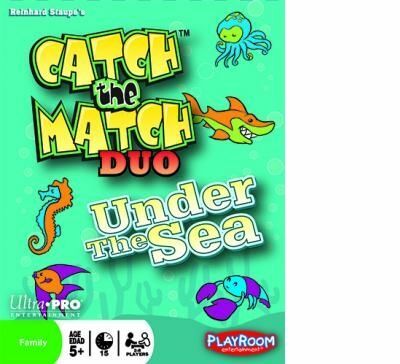 The fun is catching on with all new editions of Catch The Match Duo. Fun On The Farm , On Safari, Under The Sea and Deep In Space - now you can play the award winning pattern recognition game with all new images and with a new twist! In Catch The Match there are 15 cards that each have a variety of objects. All of the objects are different and have different colour combinations. For the regular game any two cards have one object that is exactly the same between the two cards. Find the identical pair to Catch The Match! Want even more of a challenge? Flip the cards over and play Catch The Match Duo , and now you have 2 pairs of identical images to match. The correct player takes one of the cards as a reward , and a new card is turned over. to play again, all with new objects to find.